Movie nights are common in our house. Typically, perfect movie nights consist of a few, simple essentials. A great film via red envelope, or otherwise. A blanket for snuggling on the couch, and a bowl of popcorn for two. Two and a half if you count the dog. For many, this scenario will vary quite a bit. Whatever it looks like, it will be your version of a magical movie night. 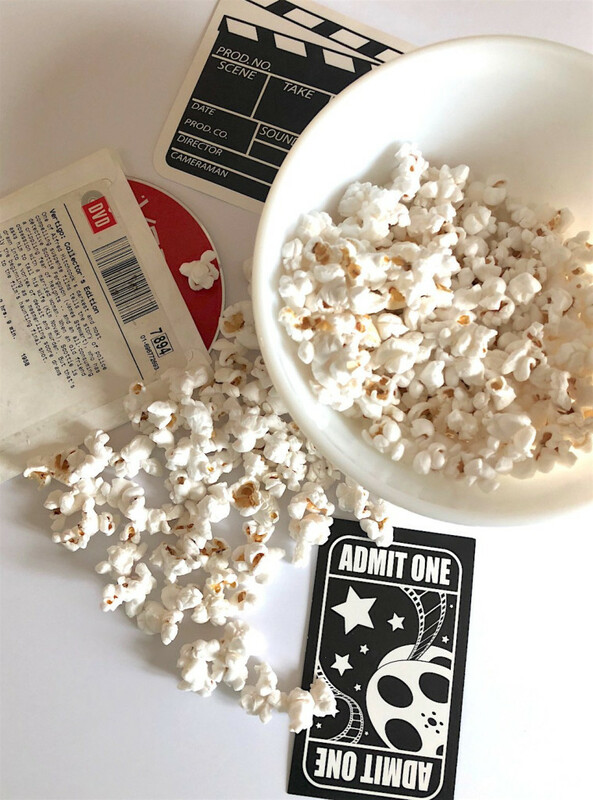 When you’re like us though and magical movie nights are often, you don’t want excessive popcorn grabbing getting in the way of a healthy lifestyle. The answer? The organic Nearly Naked popcorn from popcorn masters, Popcornopolis. The all natural organic gourmet popcorn that’s only 38 calories a cup but still worthy of movie nights at home. And weekly snack sessions or coffee breaks. Ok, well anytime you want really. Popcornopolis’s organic all natural Nearly Naked popcorn line is surprisingly good. Surprisingly, only in the sense that you don’t always equate popcorn with being healthy. But truthfully, it doesn’t need all the bad stuff to still provide the taste. Not just taste, but that comforting, movie night experience that can only come with a big bowl of popcorn in your lap. The Nearly Naked popcorn line is also non GMO, and popped in coconut oil. And it stands up to the test of movie night status. Massive grabbing for more might ensue, as well as reaching into the bowl during thrilling scenes. Plus, it goes with every genre. Currently you can find Nearly Naked popcorn in Costco stores. Even better, there’s a special promotion. Through May 13th, buy the massive organic Nearly Naked popcorn for only $3.49. That’s pretty amazing considering it’s, ready.. 14 ounces!!! Two of these bags stacked on top of each other equal the height of a person. After May 13th, they go back to $5. 39 per bag. Still a pretty good deal considering the size, and good enough for at least one movie night for a large group, and many for the smaller ones. 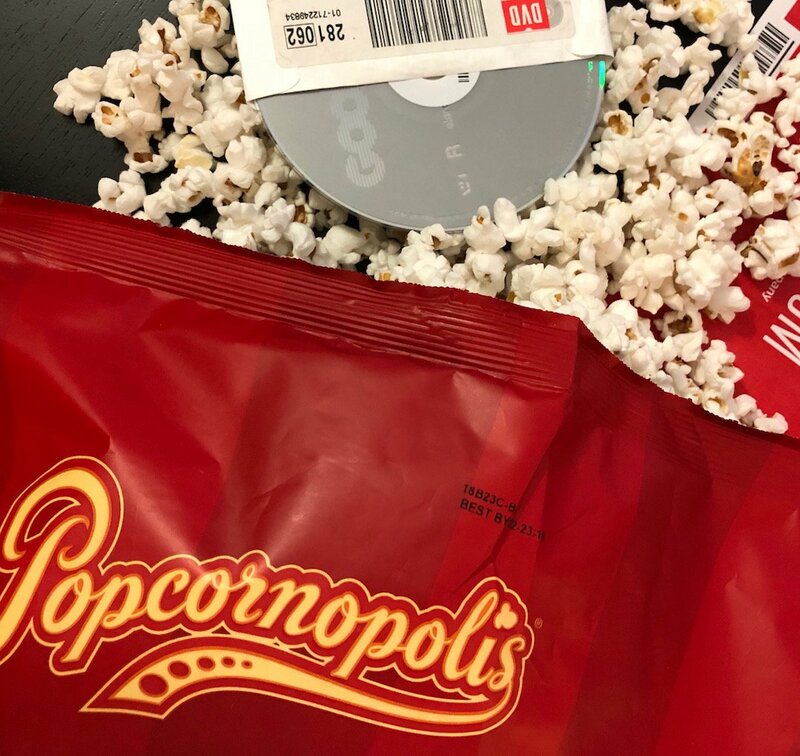 What will you watch with your Nearly Naked popcorn?